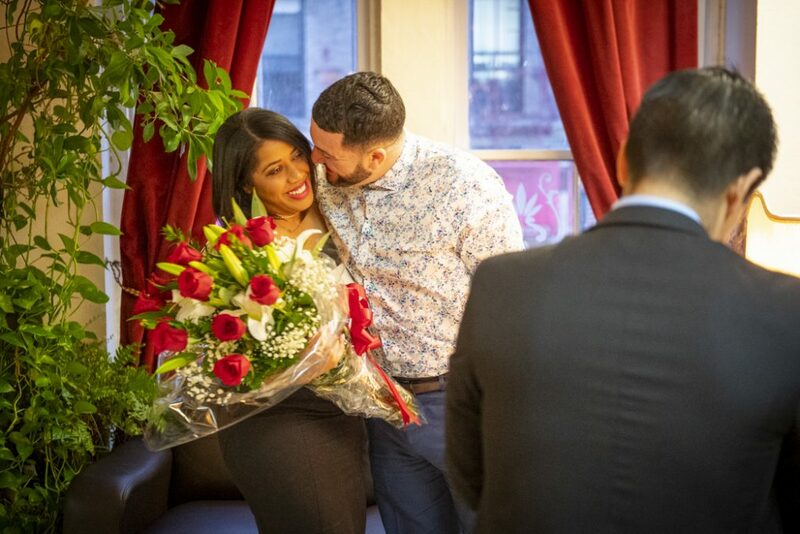 Anthony planned a romantic dinner for his girlfriend Kimberly in Little Italy, but dessert would involve more than just cake! We coordinated with the restaurant Il Cortile to have our sneaky photographer pretending to be taking pictures for their website. Upon Anthony and Kimberly arriving, they were told their table would shortly be ready. 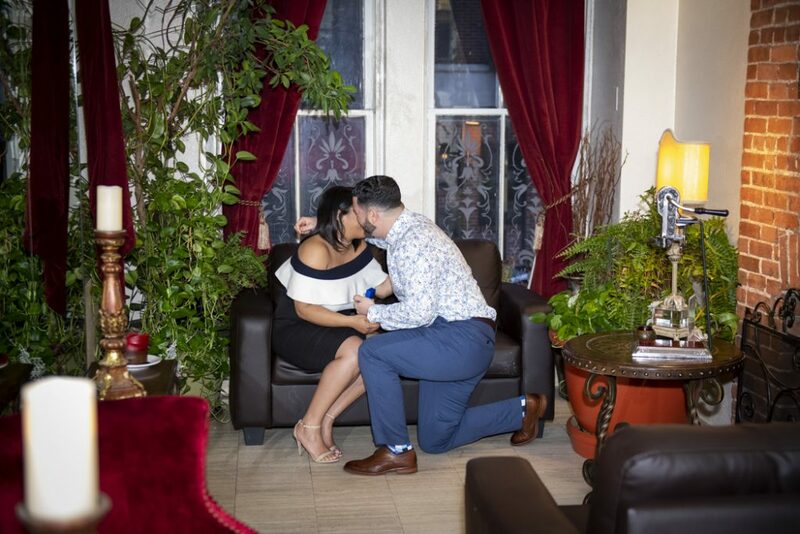 While waiting to be seated, Anthony got down on one knee. Of course, our sneaky snapper was ready to capture every moment. The newly-engaged couple also posed for an impromptu portrait session prior to dinner. 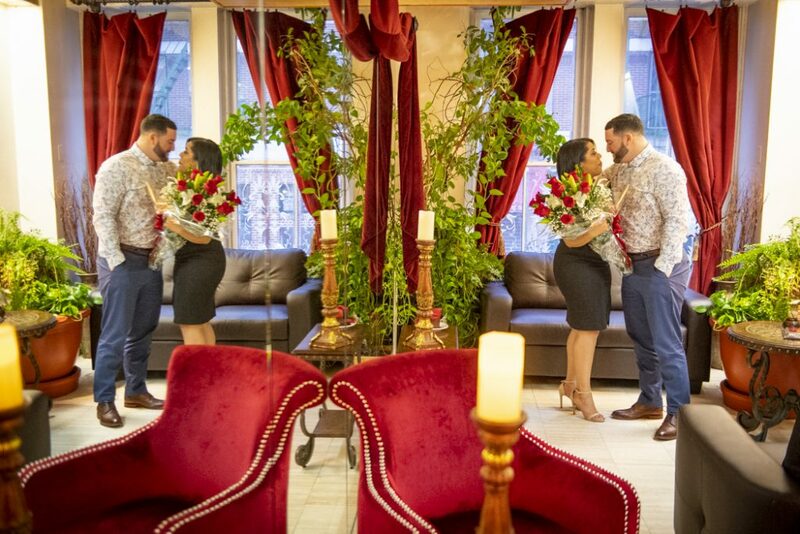 It was one of our favorite NYC engagement proposals this week! 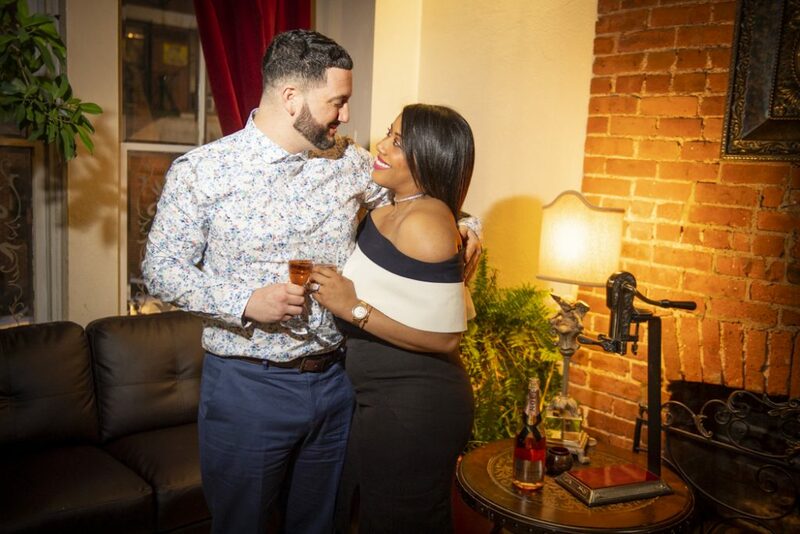 Anthony shared with us their meeting story, and what led him to propose where he did. He purchased the ring a Hannoush Jewelers in Danbury, CT.